Are you looking for more Facebook Likes? 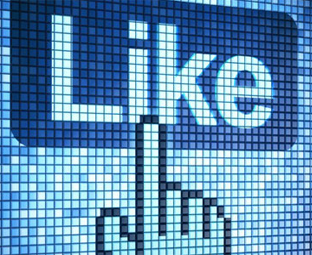 In the past, we have shown you quite a few ways to get easy genuine Facebook Likes. However, what if I told you there are a few more simple ways to get quality Facebook Likes. Here, if you think this article will give some software generated paid like then you’re wrong this time. In this article, we will share 6 better ways to get Facebook Likes Using Blogger site. Why you need More Facebook Likes? Facebook is the only leading social networking website. likes to give you a chance to reach a bigger audience and helps you build a community on your website on social media. In reality, it takes a lot of time, patience, and status updates to attract audience. But if you’re really smart then you can always apply better marketing strategies. There are people who are using a non-friendly Lightbox pop ups which end up annoying users, rather than making them to like your page. Which is certainly not the right approach? We recommend you to use Advance Facebook pop up like box that only appears once. It only appears again to the same user, if he clears his/her cookies and history. Have you ever thought why there are so many giveaways and contests runs around on different Facebook Pages and websites? This is one of the most effective ways to attract real more likes without doing much. Still, you do not need to give away expensive items, people will love to get anything that is for FREE. In the past, we have already written a post on how to run giveaways on blogger site so do not forget to read that article. Nowadays its must to have social sharing buttons on your site somewhere near your content. This allows your visitors to share your content to their most favorite social networking website. However, keep in mind you only need to add those social sharing buttons that works not a huge cluster of different social buttons. Because it consumes more resources and cause slowness in your website. We recommend floating social media bar, that is reliable and consist of only those social sharing buttons that works like Facebook, Twitter, and Google+. Another clean way to get more likes is to add a Facebook like box in your sidebar. You can make your like box stand out in the sidebar by adding headings just above it or you can give it a complete different touch if you are good at CSS. You can also embed status posts in blogger that is also an effective way to mention your Facebook page. This technique may cause annoyance, but it works. You use social content lockers to hide your content and only people who will either share or like your page can get access to it. We do not recommend you to use this on each and every post, use it smartly on a few posts. Another clean way is to ask your users to like your Facebook page by linking it with some keyword i.e. “Please like our Facebook page”. This technique is followed by a lot of major websites nowadays. This is a simple tip, but the majority of small business owner don’t use it. If you added the link to the right place, it would give your likes a great boost. If you liked this article, then please share this content with your friends. You can also find us on Twitter and Google+. No it will not affect anything.